In Geneva Pininfarina will present the full size concept mock-up of the electric B0 (above) that appeared in public for the first time at the Paris Mondiale de l'Automobile last autumn. According to media reports Pininfarina has pulled plans to show the working prototype of its planned B0 electric car for the first time at next week's 79th Geneva Motor Show as the project appears to be becoming a victim of the design house's financial collapse. Instead of showing the prototype with its innovative battery-powered drivetrain developed by French conglomerate Bolloré, says Reuters quoting a confidential source within Pininfarina, the Turinese firm will instead show the full size concept mock-up that appeared in public for the first time at the Paris Mondiale de l'Automobile last autumn. Pininfarina has been struggling financially over the last year after overextending itself with major contract manufacturing projects for clients including Alfa Romeo, Ford and Volvo. Even before the current global economic downturn the niche models that Pininfarina was assembling were not selling in viable quantities, and after being forced by its clients to fund the development of the projects the famous firm was deep in trouble. The unexpected death of its hands-on CEO Andrea Pininfarina last year dealt the company a body blow, and very late last year, on December 31, the Pininfarina family was finally forced by the circling creditor banks to agree to sell their controlling 50.6 percent share in exchange for writing off around 180 million euros of debt. With the share price having collapsed by 80 percent, the firm, which also designs cars for Ferrari and Maserati, now has a market capitalisation of around 24 million euros, a tiny fraction of its outstanding debt pile. The only bright spot currently in the Pininfarina manufacturing portfolio is the ambitious project to realise an electric car in conjunction with Bolloré which would supply the Lithium-Ion battery pack. 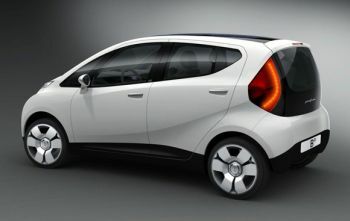 It is planned be a mass production model with Pininfarina scheduled to begin manufacturing the innovative electric car in 2010 with the launch of “pilot programs” (with a limited number of cars for each one), and with full scale production scheduled for 2011. However with the Geneva no-show it is expected that this timescale will slide back, although the working prototype could well be presented at the Frankfurt IAA this autumn. 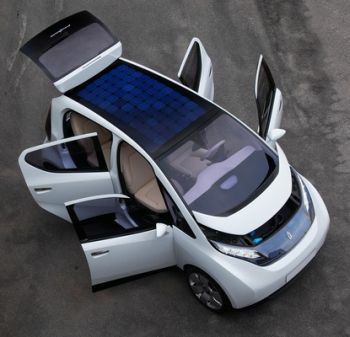 To built in Turin by Pininfarina-Bolloré the electric car will be powered by the latter's proprietary LMP technology, using a combination of batteries and supercapacitors manufactured in Bolloré’s plants in Quimper, France and Montreal, Canada. The somewhat unfortunately named 'B0' will be a fully-electric vehicle without any carbon dioxide production, having been designed from the ground up with that aim in mind. Its batteries will be housed in a compartment specially designed for that purpose and located under the car, between its axles, lowering its centre of gravity and providing it with outstanding road-holding properties. With its body styled by Pininfarina the B0 electric car will be an elegant four-seater, four-door hatchback with an automatic gearbox; and it certainly impressed onlookers when the concept mock-up was unveiled in Paris last year. Its LMP battery, which will be rechargeable in a matter of hours from a standard domestic main socket, will provide it with a range of 250 km (153 miles). The B0 will have a top speed that is electronically limited to 130 km/h (80 mph) and will feature potent acceleration, reaching 60 km/h from a standing start (0 to 37 mph) in 6.3 seconds. 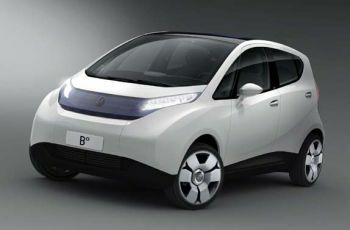 The B0 will also incorporate solar panels on its roof and hood, so as to help recharge its electrical power reserves.